Nzinga Qunta is a businesswoman and the business/economics anchor of SABC News Channel's Midday Report and can also be seen on SABC3's News at 1pm. She She holds a BA degree from Wits in English Literature and Law. 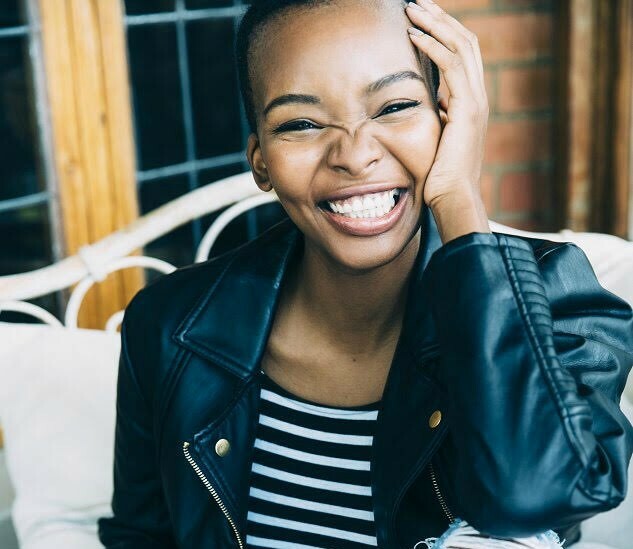 Qunta is a former Channel O presenter, presenting the channel's then flagship show, O-boma and she is the first South African face of of Garnier skin care products. She is a wife and mother and in this interview she talks about her money habits. Are you worried that your personal finances will suffer as a result of SA's political/economic climate? I work as a business news anchor so I learn every day about downgrades and how they affect us on a day to day basis, so yes I do worry. I guess I've just learnt not want as much as I used to and I don't spend unnecessarily. But it's not like I was living like Liberace so it hasn't been a big adjustment. Gaining information to help save, working on my business and not spending as much money as before. I haven't worked for almost 2 years so I'm only thinking about this now. I guess it's about setting a small amount that you know you can put aside regardless of how your pay varies. My mom has always worked hard for my sister and I to have a decent life so she has influenced me to always think about making my own money, run a business. Even though my husband looks after our family I've never wanted to only rely on him which is why I went back to work and started another business. I've been introduced to crèche fees, and need to think about future costs, over and above medical bills, clothes for baby and so on. My husband and I speak about what we'd like for our family and I think about how I can contribute to that vision. Being able to do what you want, when you want. Saving for a personal cost. In the event of an emergency, are you and your family prepared financially? Depends on the emergency, I guess. Yes. By asking my mom and sister for help. Sharing costs with my friend who moved in with me. And also realising that being broke is not the end of the world, and if you are broke now it doesn't mean you will always be broke so being hopeful that it was a phase. Because it feels as though costs are increasing and our money is not. And we have a lot of external pressure to consume and many of us have to help out our families. Shares because it feels like that's less expensive than a house! I'd have to get advice for any big purchases. Being with my husband in a home we've worked hard for, traveling the world together and being able to support our children as they navigate adulthood. Not budgeting properly. Using money from one company to sustain the other. Budgeting was my biggest lesson. A CD from Musica that was a fake/burnt CD. It's less than R200 but I hate feeling cheated out of money I work for. Yes I do. I have to pay for certain things and need to know if I'm going to have an easy or tight month after my payments and how much I can save or spend. I give if I can. Learn as much as you can about how to spend, save and invest. Don't be scared of it!